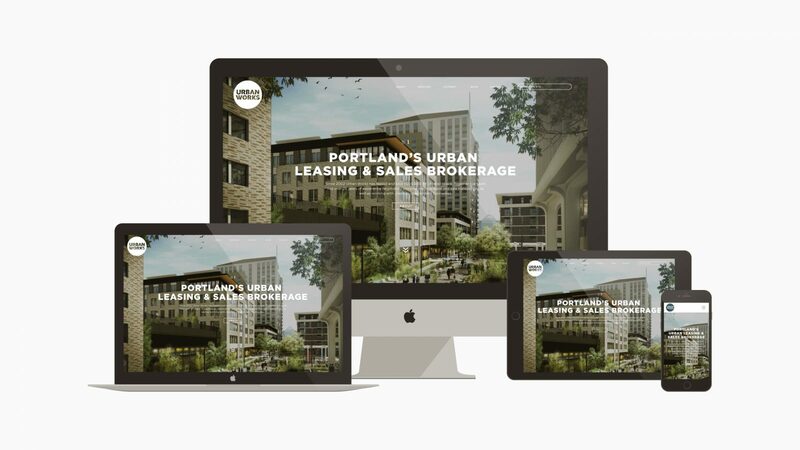 Urban Works envisioned a website that exemplified their high standards of design and offered an intuitive property search for their clients. 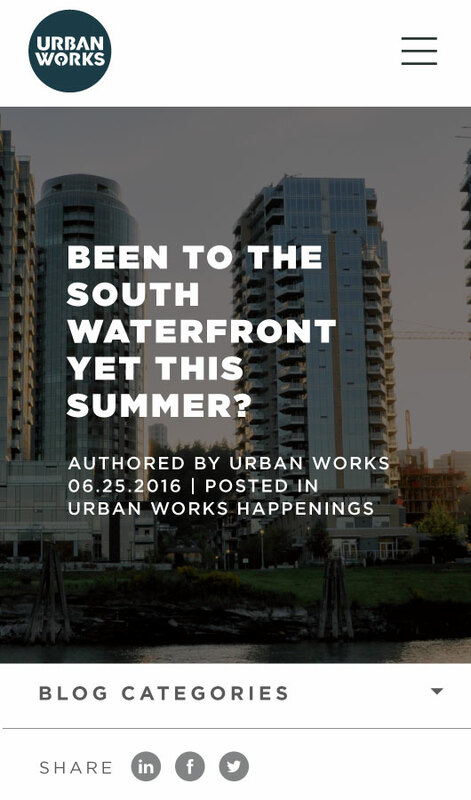 Urban Works is a hip real estate development company that focuses on ground floor retail spaces. 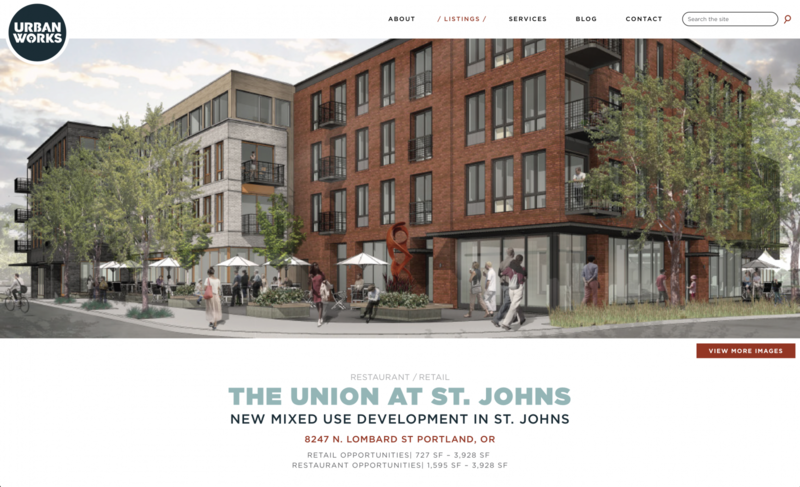 Urban Works is known for developing some of Portland’s most iconic spaces. 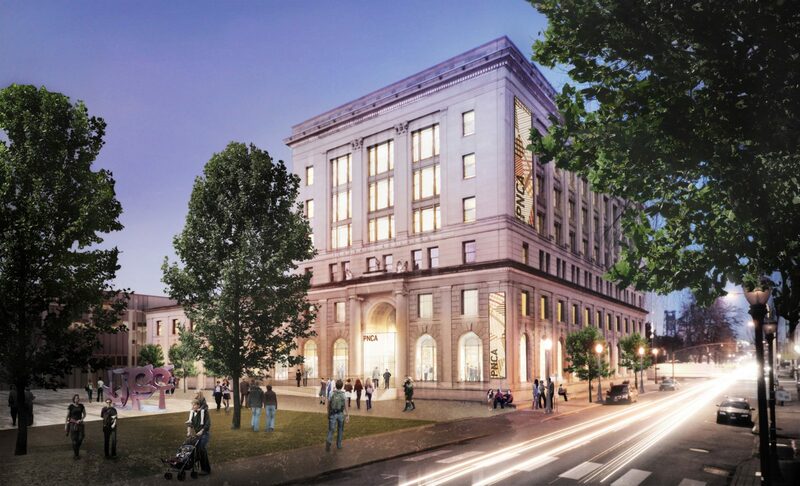 Their clients include Little Big Burger, New Seasons, Besaw’s, Green Zebra, and many more. 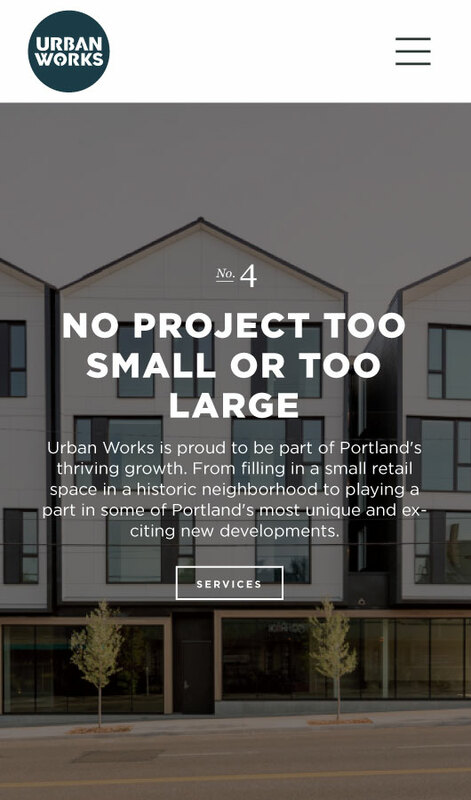 Urban Works wanted a website that put their work center stage. 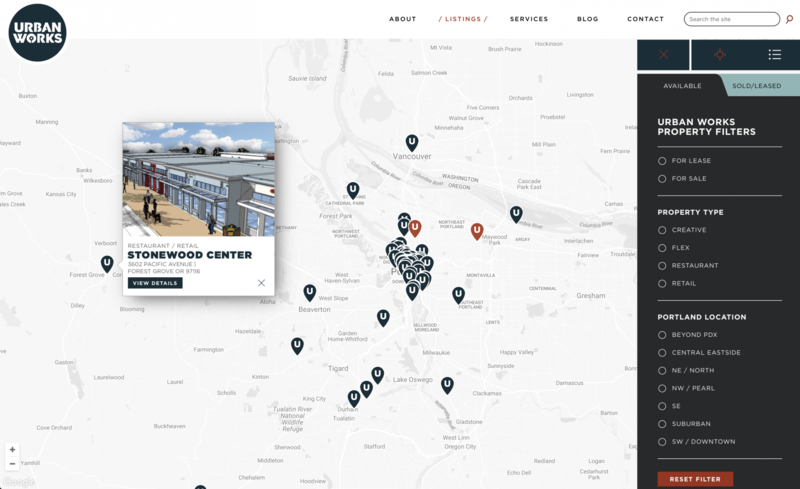 To achieve this we designed their new site using full-bleed photos and a responsive framework. The site was created with a custom easy-to-update WordPress backend. We used custom iconography to represent their core services and act as supplementary navigation. Urban Works also requested a property discovery feature that allowed users to view Urban Works properties based on various criteria. 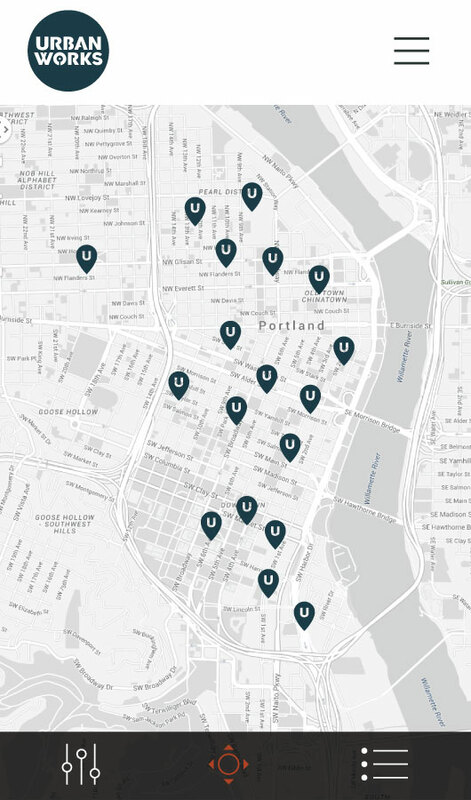 We developed our own custom solution using Google Map’s API. Let’s develop a relationship today!